Red flag laws picked up steam following the Parkland massacre. For better or worse, people saw all the warning signs that the killer was showing before committing that atrocity and, through the lens of hindsight, decided that we needed to do something to prevent such a mass shooting from happening again. Nevermind that there were already rules in place that could have kept this individual from owning a firearm had the Broward County Sheriff’s Office had competent leadership. Nope. We needed a new law. Well, a lot of states got one. 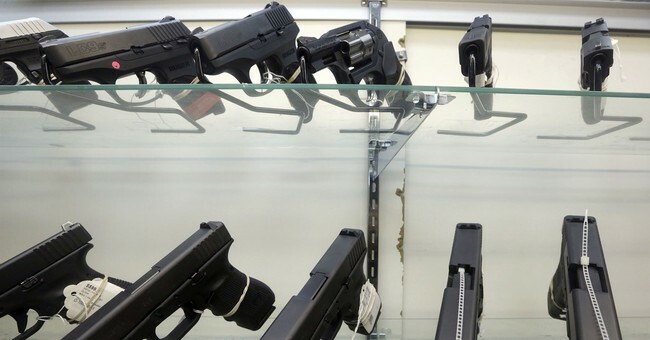 Now, gun confiscations have drastically increased thanks to those new laws. Courts are issuing an unprecedented number of orders to seize firearms from people they deem to be mentally ill or threats to others, following a rash of state-level legislation aimed at curbing mass shootings across the country. Even as conservatives sound the alarm about potential Second Amendment violations, supporters — sometimes across party lines — say these “red flag” laws are among the most promising tools to reduce the nearly 40,000 suicides and homicides by firearm each year in the country. “I think we’re seeing a building consensus in blue states and red states that this is a good way to balance public safety against people’s Second Amendment rights,” Jaron Lindbaum, a representative of the activist group Washington Ceasefire, told Fox News. The question no one’s asking is how many of these seizures represented actual threats and how many were nonsense? The biggest problem with such laws is that they make it easy to take away someone’s Second Amendment rights on the flimsiest of grounds, making it easy for people to use such a system to punish others for holding contrary opinions on any number of matters. Further, few offer any real deterrent from making such false claims. In other words, they make it way too easy to trample someone’s due process rights. Right now, everyone seems to be crowing over the number of seizures, but how many actual tragedies have been avoided? More importantly, how many “false positives” have we seen. By that, I mean how many innocent, law-abiding people with no intention of harming another found themselves disarmed by force of law despite having done nothing wrong because someone else said they did? While these seizures can be fought, not everyone can afford to do so, making them especially burdensome for the poor who often live in high-crime areas and often rely on their firearms for personal protection. No one is asking whether or not these laws are hurting more than they’re helping. Why? Because lawmakers don’t actually give a damn. Instead, anti-gun legislators get to pat themselves on the back for having made a bold move. They get to point to their legislation and brag about how they Did Something (TM). Yeah, they did something alright. It’s just too bad that no one has the cajones to take a look and see if that something was a good thing or not. Seizing a bunch of guns sounds great on the news, but if it’s good and decent people who have been slandered in order for their firearms to be taken, then it’s not a good thing at all.